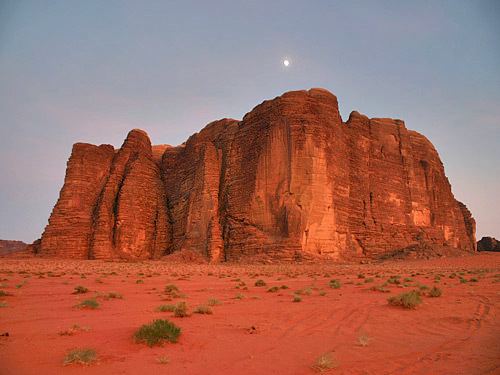 Wadi Rum is in the middle of the desert and is inhabited by the Zalabia Bedouins. 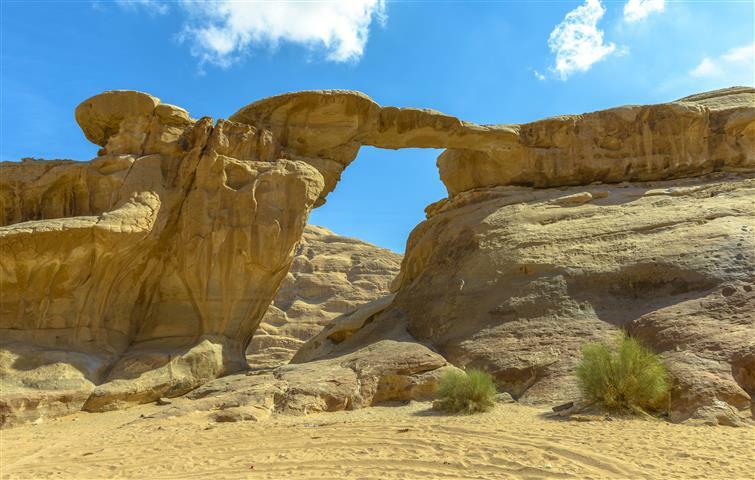 See the beautiful landscapes and the stone structures that seem to pop out of the sand. There are ancient paintings, and graffiti on the sides of the mountains. 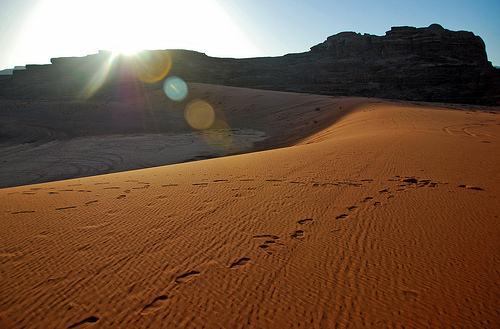 The Bedouins that reside in Wadi Rum, are famous trackers, and rock climbers. 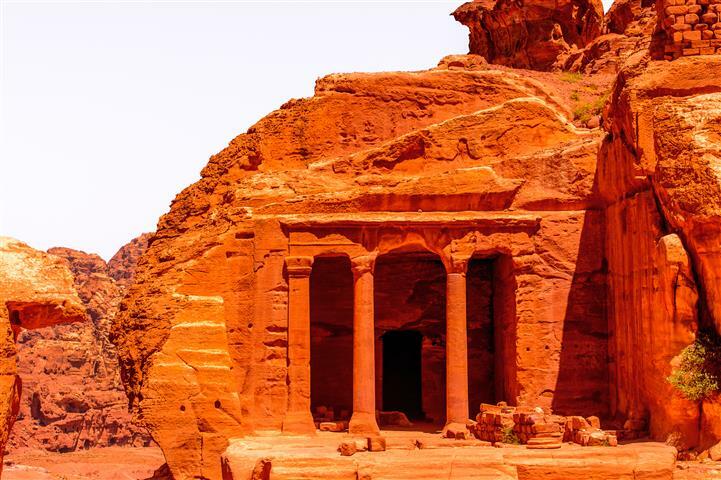 Petra was an inheritance left to us by the Nabateans. 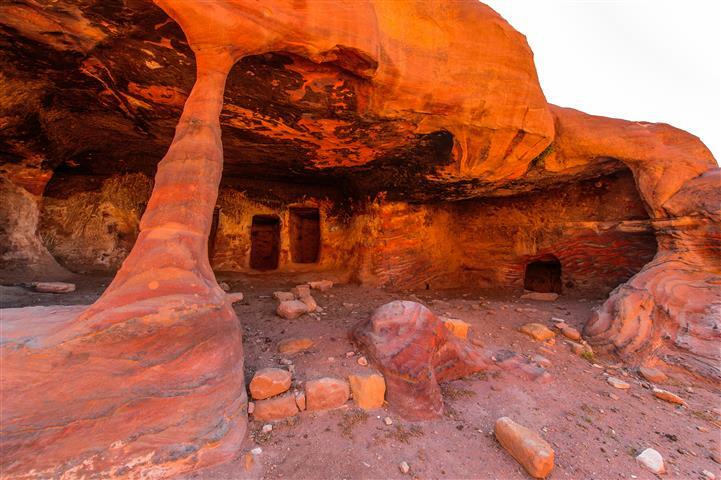 The Nabateans prospered by building great water cisterns, and selling the water in times of drought. 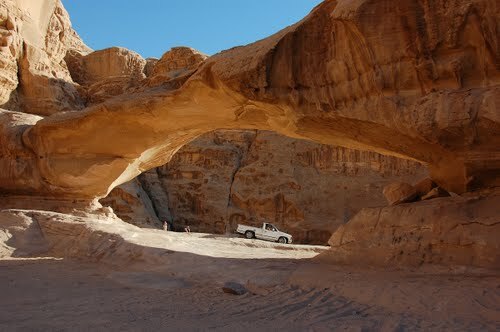 As you enter Petra through the Siq, understand what makes this one of the Seven Wonders of the World. 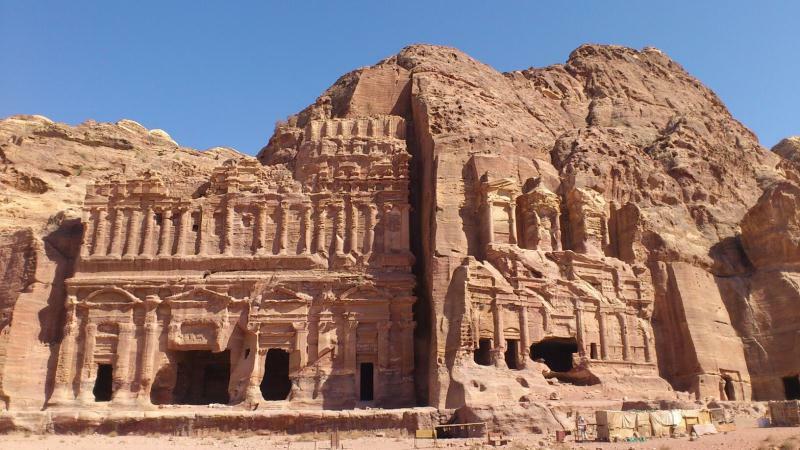 There are caves that were used for worship and burial. 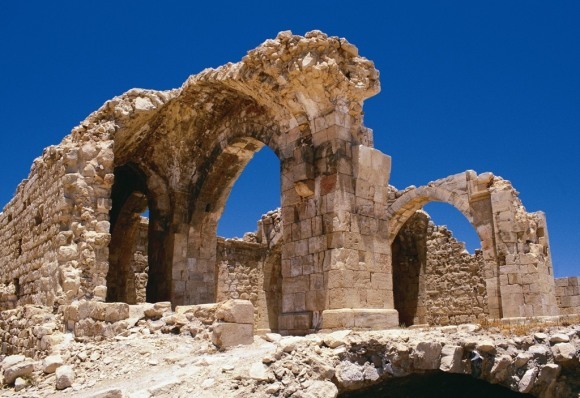 Visit the Roman Theater, the tombs, the temples, and much more. 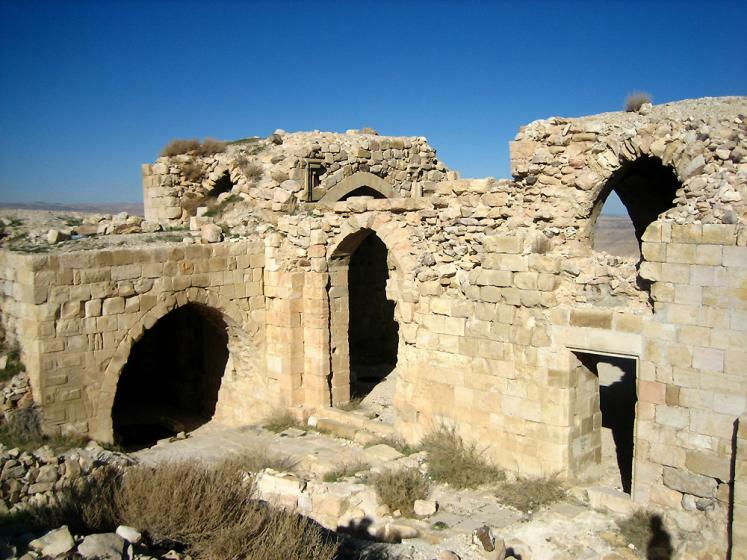 Shobak castle was built in 1115. Not much of the castle remains today. It has not been totally excavated. There are 3 walls that remain from the original structure. It is very isolated on a rocky mountain, overlooking fruit trees, and that is what gives the castle its charm. The view is outstanding from the top of the mountain. We will drive you into the Nabataens ways of comers and the Bedoin way of life. After 4 to 5 hours of walking and learning, we will eat lunch in one of the restaurants. Meeting and assistance at the border, tour guide, entrance fees, lunch, hotel accommodation on H/B basis (3 star hotel). Other languages available for an extra fee. Single supplement $60, and for high season $70. Visa must be obtained in advance. We can make the visa for you in advance for a fee of $75. Have a valid passport number, date of issue, expiry date and birth date4 for the reservation. Voucher and visa/tax/tip money in cash only (payable in U.S. dollars, Euro, Pound Sterling or Israeli Shekel). Please note: No insurance company insures any accident from a horse or any other animal.